Copper is an essential trace mineral. Approx. 110 to 130 mg of copper is found in a an adult human body tissues, most profoundly in liver followed by heart, brain, kidney and skeletal muscles. 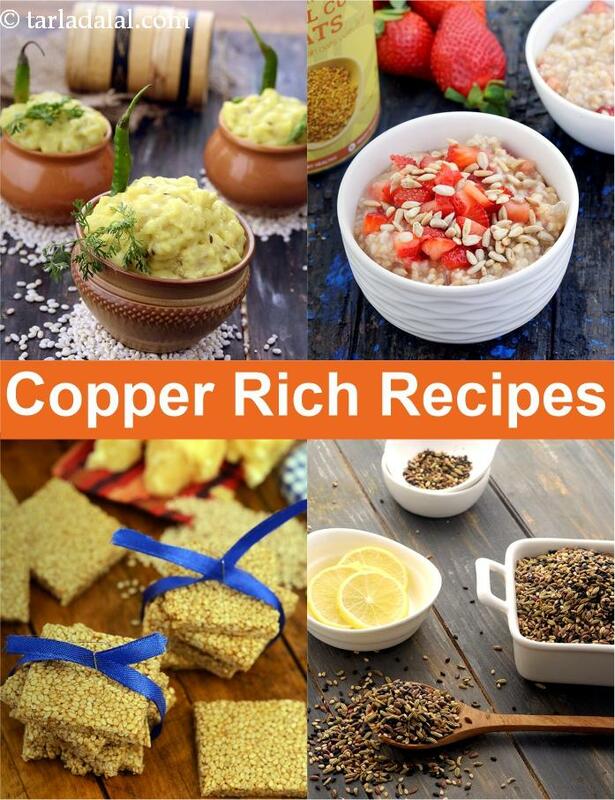 The RDA (recommended Dietary Allowance) for copper for an adult human being is around 2 mg / day. Benefit from the goodness of these ingredients by cooking our tried and tested delicious recipes shared here.